Unlike many other parts of the developed world, Dubai does not have the negative components of such society. Dubai is by far one of the safest places in the entire world and enjoys virtually no crime especially towards tourists visiting the country. With very strict and stringent measures in place to combat any form of crime the entire city of Dubai from end to end is a safe haven for tourists. It is often referred to as the city of gold because of its numerous gold souks, market places and bazaars. In comparison to the Western societies, the crimes of break and enters, and armed robberies are well known; however in Dubai even with the all the gold shops consumers can enjoy a worry-free experience. 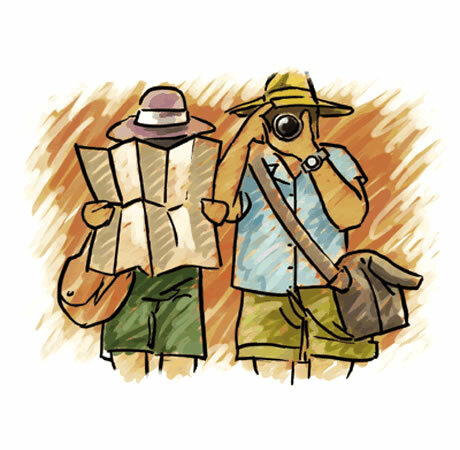 There have been reports of uncommon cases where tourists felt threatened or uncomfortable but in general these occurrences are rare. It is a city that offers generosity, great hospitality and a culture open to other cultures. Tourists are often seen walking around with large numbers of cash bills in hand without feeling the least bit threatened that they will be mugged or assaulted. On the other hand, we cannot say the same for the city of New York; whereby people cannot openly flash their belongings with easy comfort. Ladies are often seen walking around in the middle of the night alone, with children or without any male companion. Your valuables or belonging will remain in the same place you left them when you stepped out of your hotel room. The laws are very strict and employees do not want to risk losing their livelihood over a few dollars they stole from tourists. There is a popular story going around about these thieves committing a lard armed robbery in a shopping mall; however they were eventually caught and all the police returned all the precious jewels. The jail time is very severe and tourists themselves know that if you follow the rules you can enjoy a great trip in the emirate of Dubai. The law provides very strict punishments for anyone caught committing any kind of crime or threatening tourists in any manner or form of mistreatment. If a tourist feels threatened or harmed, it results in immediate jail time of 3 months with a direct deportation to the home country, once the jail time has been served. Due to the severe punishments, most people think three times over before ever attempting to carry out any kind of criminal activity. The government of Dubai offers many pamphlets, and guides to tourists as a form of educating them of the risks involved if caught committing a crime. All tourists, residents, and locals know crime will not be tolerated and you have to pay the severe price for the crime. Along with jail time, the government may issue exile, temporary deportation and penalties. In many cases people are imprisoned for months at a time and then deported for being caught with any kind of drugs and illegal contraband. Beware, as it is highly advisable not to break the rules by over intoxicating yourself, consumption of illegal drugs as they can all result in the severest of punishments for Islamic laws. Embassies and consulates are not allowed to intercede on behalf of the individual as indicated by the moral Islamic laws of the country; the consequence is placed on the guilty. If a minor disorder is reported to the authorities, they will ensure to get to the bottom of the situation. With the widespread electronic surveillances throughout the city; tourists, locals and all may enjoy the safety and security it has to offer. If found guilty or charged, you will be required to appear in court where you have the right to a lawyer but it won't help much if there is physical evidence against you.